This came out earlier than the Tarte palette and trust me when I say that I went bonkers when the preview of the palette came out. I even pre-ordered it which is something very strange for me to do because with palettes I personally prefer seeing and swatching IRL. BUT since it is part of the NAKED series, I have a rough idea of the quality and I trust UD with their products so I think all is well. Plus I love any palettes with bold reds and warm tones as you already know so when this palette was released I knew I had to have it in my collection! The heat palette currently goes for £39.50 but if you're a student in UK, urban decay does 10% off on MyUniDays or you can check out Debenhams and House of Fraser for their beauty deals too! I currently own two naked palettes and of them, this has got to be my favourite packaging because I find that the Naked 3's packaging is a little hard to keep it tightly closed unless properly aligned. Plus this is so sturdy, it makes me feel less paranoid of breaking the pans when I drop my palettes which is a rather common occurrence! 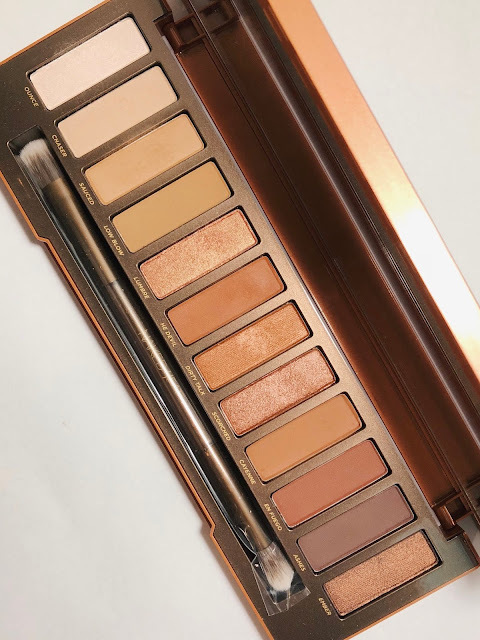 The naked heat palette has an amazing range of colours, similar to the Tarte Toasted but this has satin shades rather than glitter which I prefer. Because for some reason, my eyes get irritated with chunky glitter and it ALWAYS gets in my eye in some weird way or another so I try to avoid them at all costs. But you know your girl needs some shining shining shining shining yeaaaa sometimes so the satin shades are perfect for me! 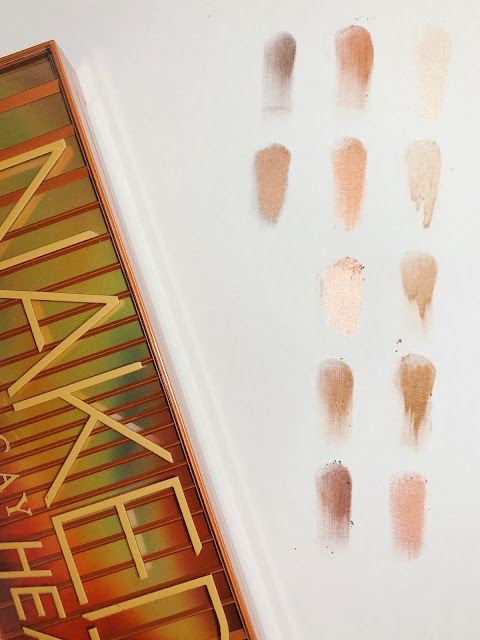 Very much like the Toasted Palette, the shades all have a some yellow undertones in them but some of them have pinks and a very slight red which is the main difference for me when comparing the two palettes. This palette is not as pigmented as the Toasted Palette which can be both a good and bad thing. Good in terms of fall out - it is minimal so it wouldn't make it look like you just ran through a cloud of eye shadow and the residue on your face just give it all away. Bad is when you may have to dip your brush back in once more to get the pigment you want. If you'd ask me to pick between the two, I guess I'll go with this palette simply because I prefer the undertones that this palette has and it would be the one I'll lean towards picking up first when I know that I want a reddish look out of it. But with the toasted palette I can go in and play around to get a orangey brown look!